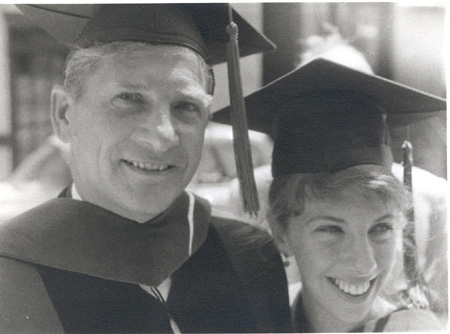 In Memory of Louis A. Wikler, M.D. Note: The text that follows is from a talk that Judy gave when she was asked to administer the Hippocratic oath to the graduating students at the Pacific College of Oriental Medicine, shortly after our Dad died. Judy was an instructor of Western Medicine at the college, and she consistently discussed with her class the similarities between Western doctors and Eastern doctors -- everyone just trying to figure out how to be a healer. It is a real privilege for me to be here with all of you this afternoon and to lead you in the solemn vows that you are about to take. With these ancient words you will cross a threshold from which there is no return. Wherever life takes you from this day forth, you will bear the honor and the responsibility of being a doctor. When that honor and responsibility weigh too heavy on your shoulders, you can call upon the spirits of all those healers who have gone before. If you keep your mind and heart open, they will guide you along the way. I had prepared some remarks to share with you about the general nature of healing and the characteristics of a true physician. But as so often happens, life came along while I was making other plans and showed me what it was I was really supposed to share with you today. Exactly a week ago, my father passed away. He was an old-time family doctor who used to make house calls with his little black bag and who knew the intimate lives of several generations of the families in our town. 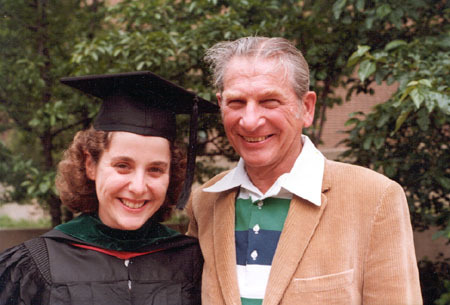 My father was a great physician and the best teacher I ever had. One of the many things he taught me is that true healing has nothing to do with technology; that is to say, whether your tools are acupuncture needles and Chinese herbs or hypodermic syringes and pharmaceutical drugs, it doesn’t really matter in the end. We are all in this together, we who have chosen to spend our days confronting human suffering. No matter how we go about it, our struggles to learn and grow from our profession are the same, and we share the challenge of giving our very best to everyone who turns to us, day in and day out, year in and year out. Sometimes we are triumphant, and sometimes we are dismal failures, and we share that humbling experience, too. At my father’s memorial service, virtually everyone remembered him as a superb doctor. But no one mentioned his technical skills, or his diagnostic acumen, or his powers of deductive reasoning. What people remembered most were his infinite kindness, his caring and compassion, his abiding respect for Nature as the wisest healer of all. These are the qualities of a true physician, as my father knew and as Father Hippocrates knew some twenty-five hundred years ago. As we repeat this oath together, I call upon their spirits to be with us this afternoon and to guide us on the awesome journey we have chosen.